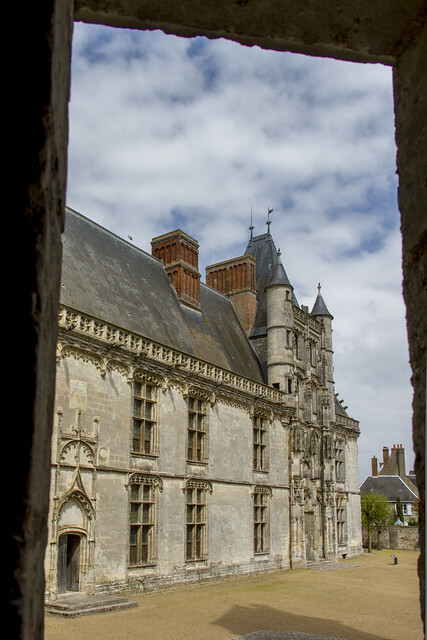 The Loire Valley is the home of many châteaux—French for castles. Our route to Dinan passed through the north sideof this area. Surely we had time to see at least one château! Château de Châteaudun was built between the 12th and 16th centuries. It was home to Jean de Dunois, comrade in arms of Joan of Arc. 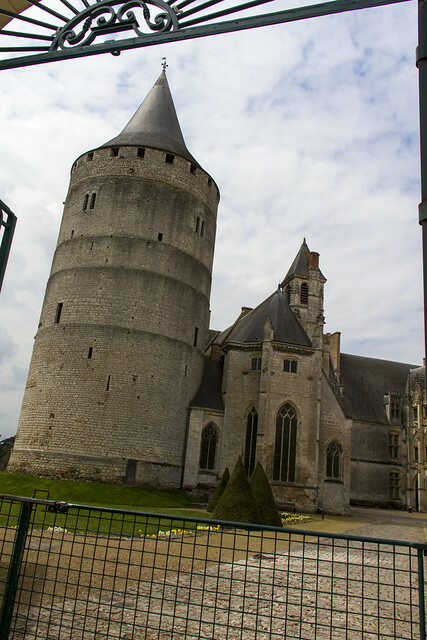 The keep was built by the Count of Blois Thibaut V around 1170. The Sainte-Chapelle was built between 1451 and 1493. 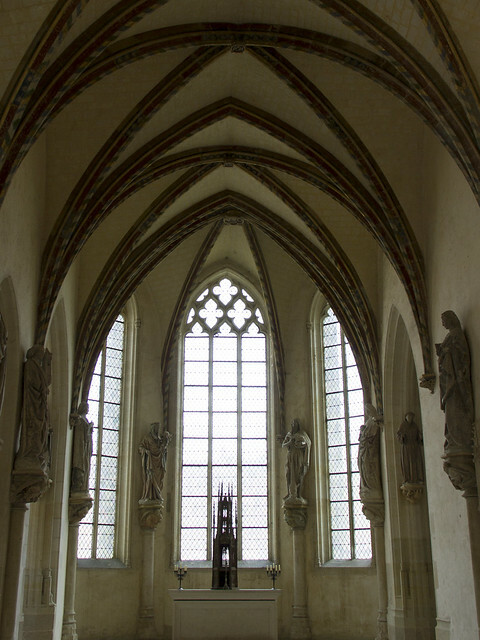 The choir and the high chapel were built between 1451 and 1454, with the nave and the oratory between 1460 and 1464. 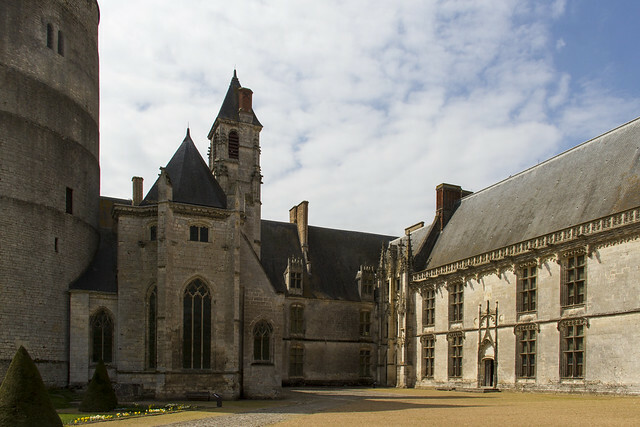 François I of Orléans-Longueville began construction of the north wing between 1469 and 1491. Oh my gosh! It's mid-afternoon, and we're only a third of the way to Dinan! No more side roads, no more stops! 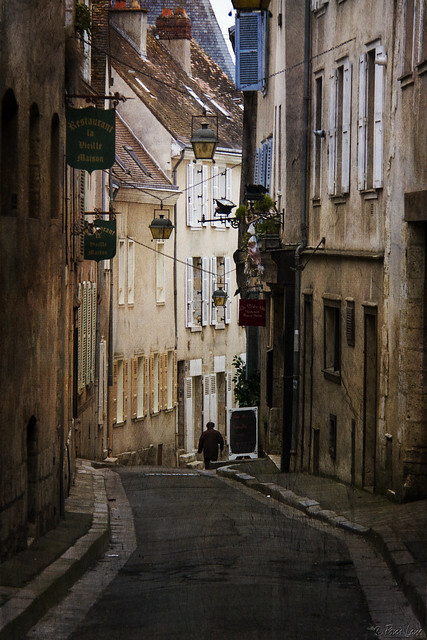 Our first day was gloomy and overcast, but the streets of the old town center of Chartres were still magically appealing. A brief walk through town, a stop for lunch, and we continued on our way to Dinan. It's only 1 p.m. We still have plenty of time. 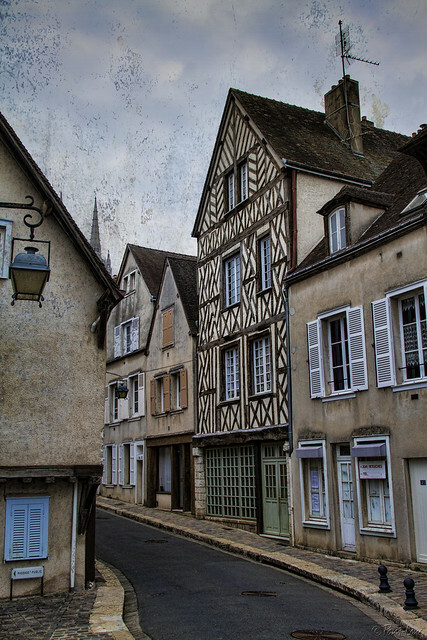 This was our first glimpse of the half-timbered style that is common throughout Brittany and Normandy. Our first full day was also the day of our longest drive. We picked up our car and were on the road from Paris to Dinan, a town in Brittany 400 kilometers (250 miles) to the west. Less than four hours, if you take the main autoroute. We didn't need to be there until dinner time. That meant there should be plenty of time for side trips and stops on the way. Right? 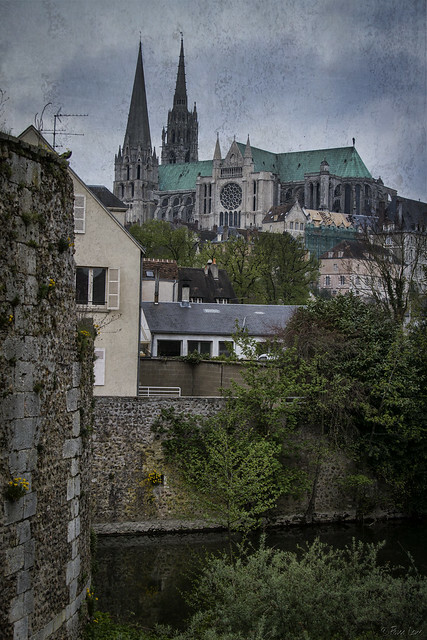 Our first stop was in Chartres, home of the Cathedral of Our Lady of Chartres (Cathédrale Notre-Dame de Chartres). 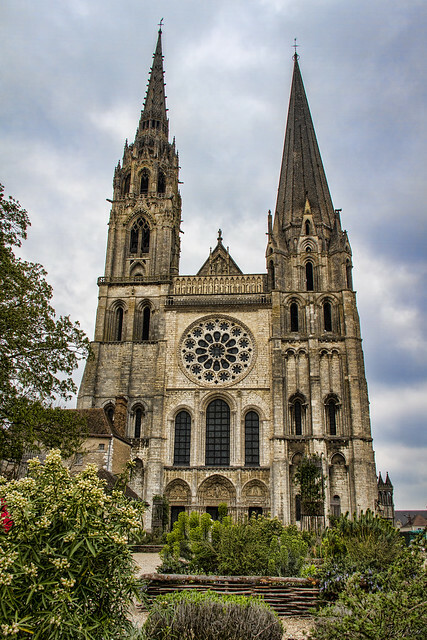 The current cathedral was constructed mostly between 1194 and 1250. 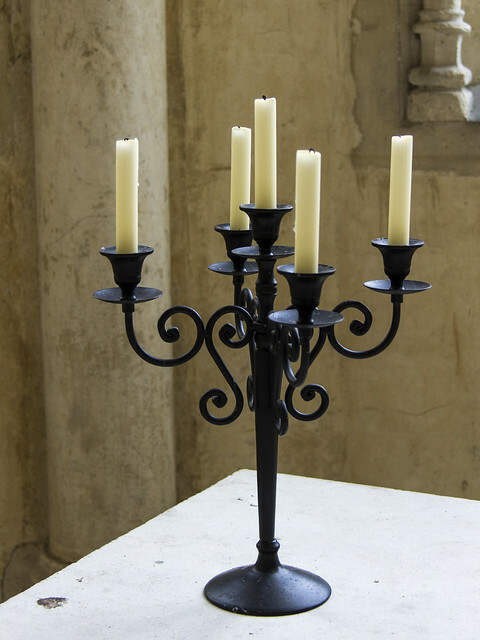 It is considered to be one of the finest examples of French Gothic architecture. The cathedral sits on top of the hill in the center of the city. 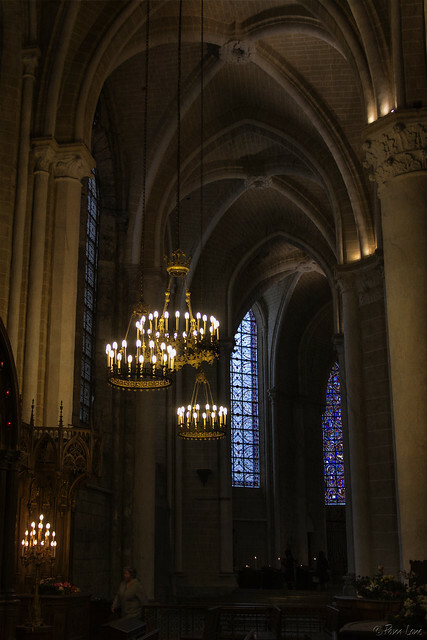 The majority of the original stained glass windows survive intact. I'm back from two weeks in the north of France. I thought I was going to blog every evening, but I underestimated the amount we would fit into each day. I traveled with friends Joan, Bonnie, and Steve. One of the fun things about traveling with Steve is that he's curious—and uninhibited about satisfying his curiosity. Bonnie, Joan, and I all know a little bit of French. Steve knows not a word, but that never stopped him from asking the locals questions. Sometimes this resulted in unexpected answers. Steve asked the attendant in the Eiffel Tower how often the elevators were maintained. The attendant answered, "Every 7 minutes." Clearly, he had understood "how often" and "elevators," and gave his standard answer. But most of the time, we learned. 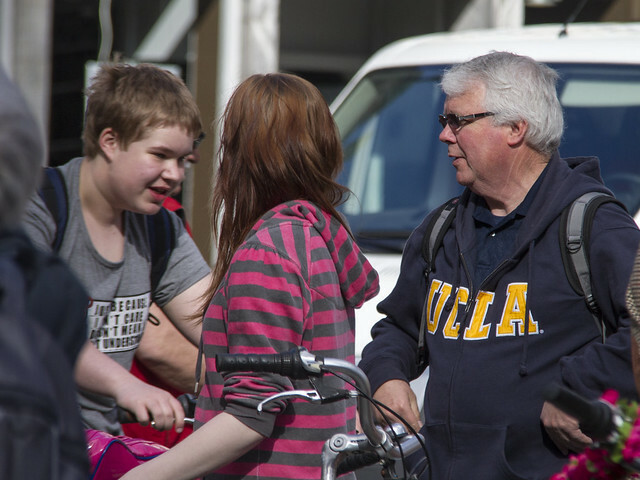 We learned about this group of kids on bikes. They were biking across Belgium to Holland, and expected to cross the border in a single day's ride. We learned that Brittany isn't crowded except for July and August, and even then, the ocean is "bracing" for swimming. And we learned that it's hard to find a job as the organist for the big cathedrals, even when you have a lot of training. Steve has the impulse to learn, which is a pretty good thing to have in a traveling companion! 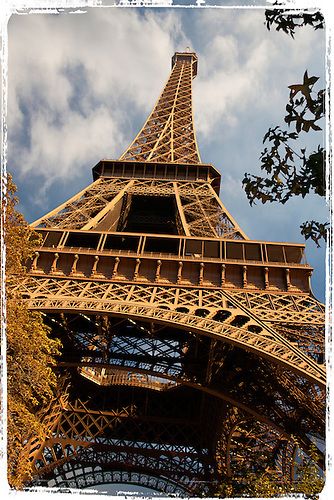 Just like in the movie "French Kiss," the Eiffel Tower peeks out and surprises you from random places all over Paris. But we spent one morning getting up-close-and-personal with the tower. Behind the tower is the Wall for Peace. 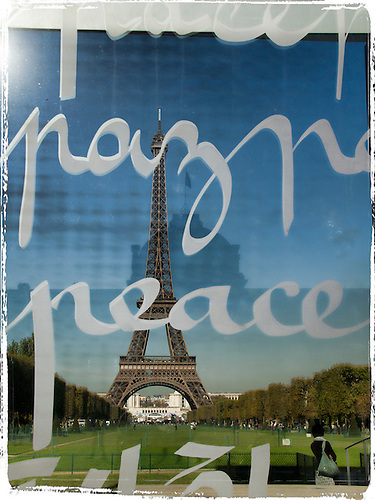 The glass and metal monument has “peace” written in 32 languages and 18 alphabets.